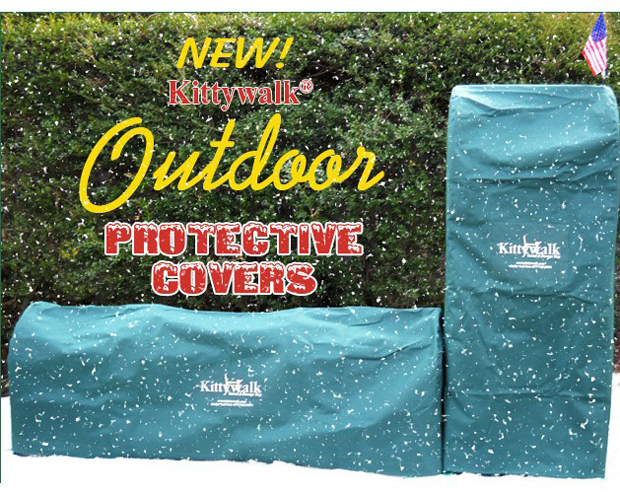 Kittywalk Outdoor Protective Cover for Kittywalk Curves (2) Green 48" x 18" x 24"
Made from sturdy oxford fabric with paracord ties at the bottom, these covers will extend the life of your Kittywalk outdoor products, allow you to keep them outdoors all year round, and prevent any unwanted animals from getting in. 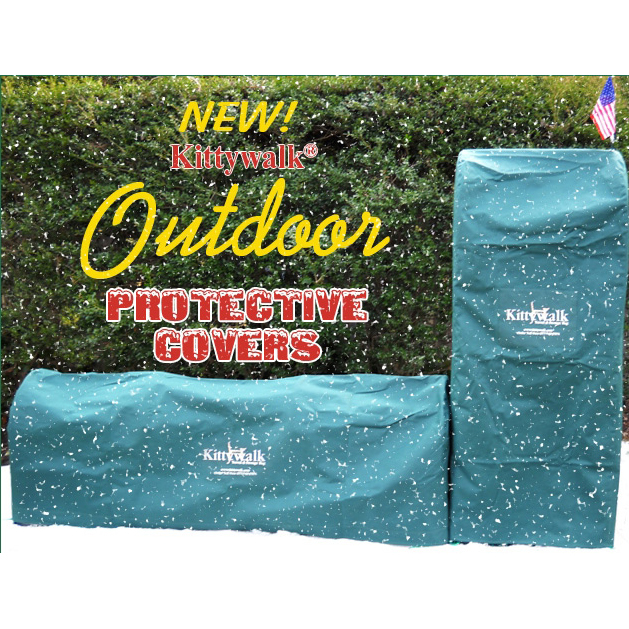 Includes covers for 2 curves. Dimensions: 48" x 18" x 24"